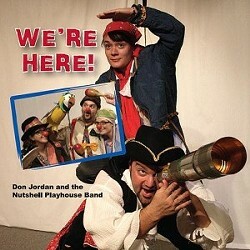 Written and directed by Don Jordan, Pirates! is a swashbuckling adventure featuring bold buccaneers, a mysterious map with a riddle, cursed treasure, a visit to an island that you can’t see, a pirate ghost, and a magical journey to the bottom of the sea. This sea-faring tale features puppets, music, masks, mimes and more.